While riding motorcycles can be liberating and exhilarating, they can be dangerous too. Traffic accident statistics show that, per mile traveled, the number of motorcycle deaths in 2013 was more than 26 times the number of car deaths. The leading cause of death in motorcycle accidents is head injury. You should always ride with a helmet. Motorcyclists are 37 percent more likely to die or sustain severe injuries without a helmet, when compared to those who do wear a helmet. You are also likely to receive less money in a settlement or lawsuit if it is proven that any portion of your injuries was caused by the failure to wear a helmet. Defensive driving is particularly important for motorcyclists (especially avoiding blind spots), because other drivers have difficulty seeing motorcycles on the road. If You’re Involved in a Motorcycle Accident, What Should You Do? In you are involved in a motorcycle accident in Mesa, the first thing you should do is call your insurance company and report the accident (and injury) to law enforcement immediately. Never admit that you are responsible for the accident, never leave the scene, and never supply a statement to the insurance company because it may be recorded. Victims who are injured in motorcycle accidents must demonstrate that their injuries were caused entirely or partly by someone who did not show reasonable care while driving. Motorcycle accident victims injured through no fault of their own can receive compensation that includes past and future medical expenses, past and future lost income/wages, suffering and pain, loss of enjoyment of life, inconvenience, mental distress, and permanency and scarring. Your original case assessment is free as well and you don’t have to pay unless he recovers money for you. 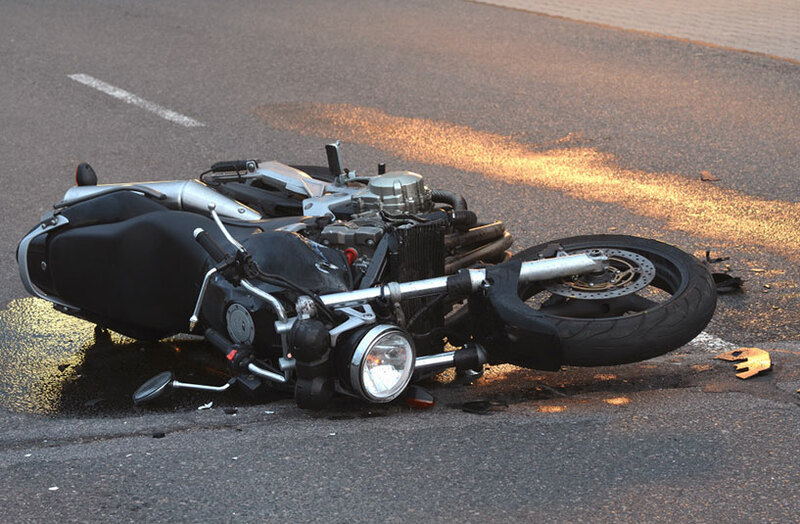 If you’ve been injured in an motorcycle wreck in Mesa, contact Warnock MacKinlay Law today at 602-652-2009, or fill out our contact form.